This ebook provides a series of exercises designed to improve the muscle function around your hip without irritating the hip. When the muscles around the hip work well, the hip joint can enjoy a more natural position, which reduces the strain on the joint. 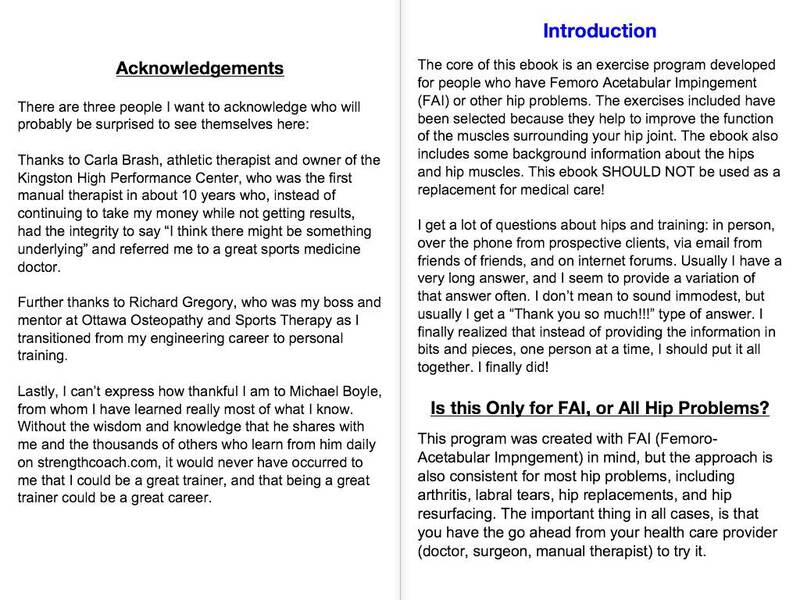 The ebook includes exercise descriptions, pictures, and links to videos for each of the 42 exercises included. 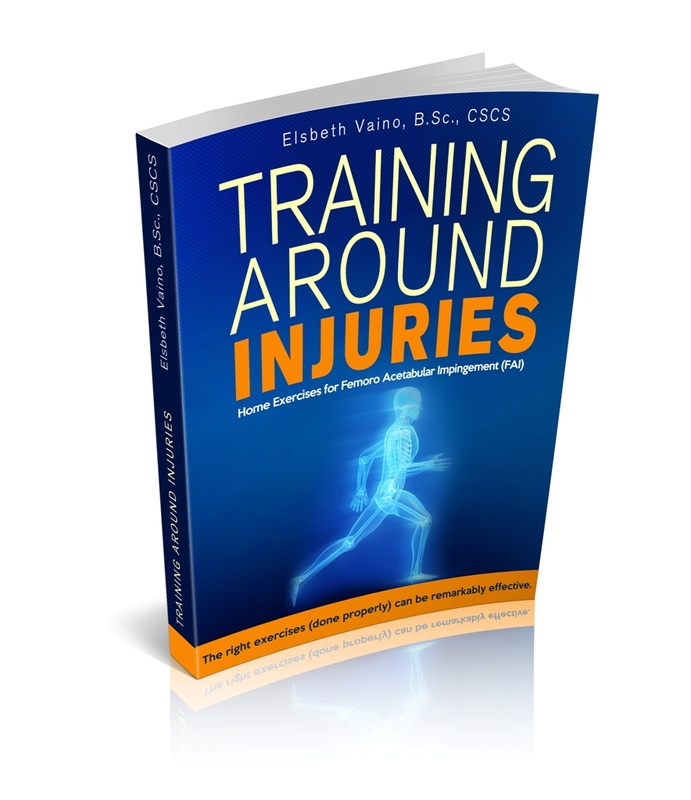 The ebook is focused on your hip, but also includes "Supporting Exercises" which are geared toward helping the rest of your body move well also without irritating your hip(s).